If you are looking for luxury and adventure in the jungle all mixed into one then you are most definitely on the right page. Hotels by the Pacuare river are few in number but are located in the best area. Have lots of fun on a rafting tour one of the main tours in the area. 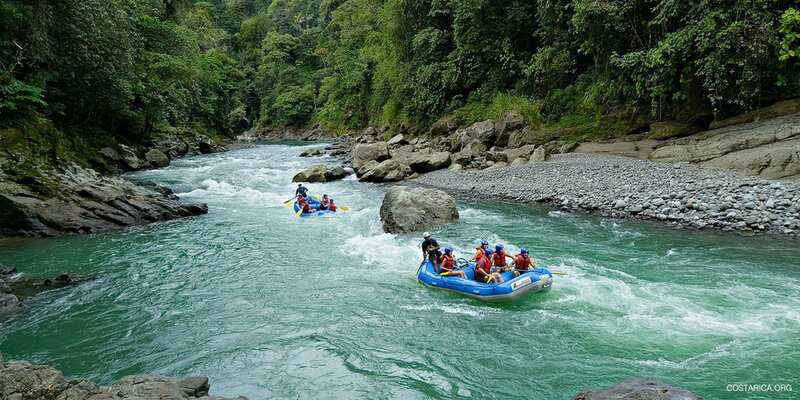 It is so thrilling to go down the Pacuare with your closest friends and crash through the rapids. Back to the luxury part. These hotels are a true meaning of luxury in the jungle. They will cater to your every need and make you feel extremely relaxed on your Costa Rican adventure. Other than having a blast in the river rafting tour. You can also walk on the nature trails provided by the hotels. Or maybe do some birding, there are all kinds of wildlife to be seen. For example, monkeys, birds, even the elusive jaguar. Also, we can help make your trip that much better. Let us plan your trip right from the beginning and just sit back relax, and enjoy yourself on an awesome trip to Costa Rica. Take a peek below at the Hotels by the Pacuare river.